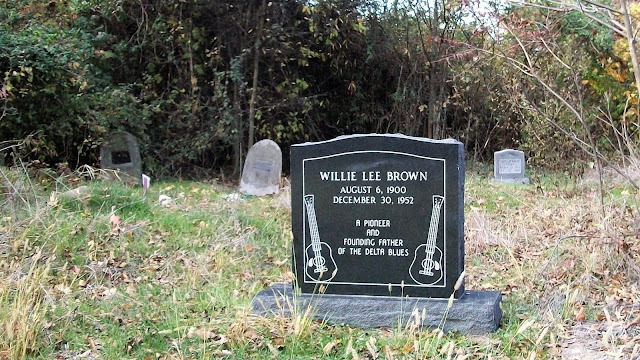 As a first year master’s candidate in 2009, I published an article in the West Tennessee Historical Society Papers titled “'You Know That I’m Getting Tired of Sleeping by Myself': The Influence of Blues Legend Willie Lee Brown,” which, if nothing else, highlighted the abandoned cemetery in Prichard, Mississippi in which his remains were thought buried in the 1950s. 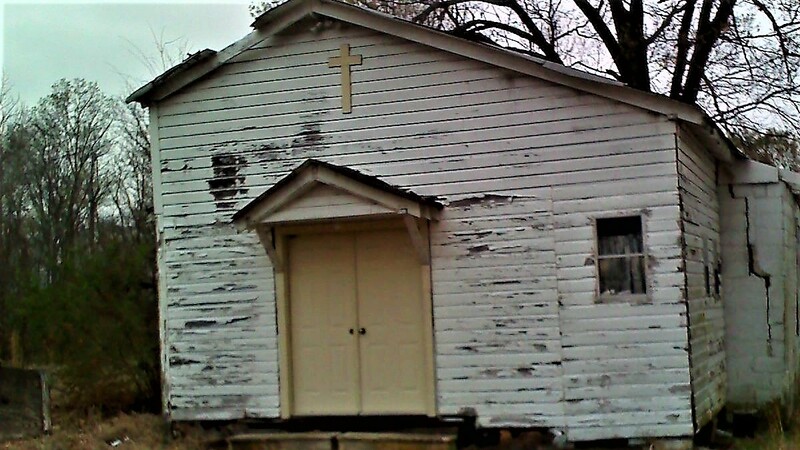 Soon thereafter I became embroiled in the legal case surrounding access to Warm Springs Cemetery in Copiah County, Mississippi—the final resting place of Tommy Johnson. 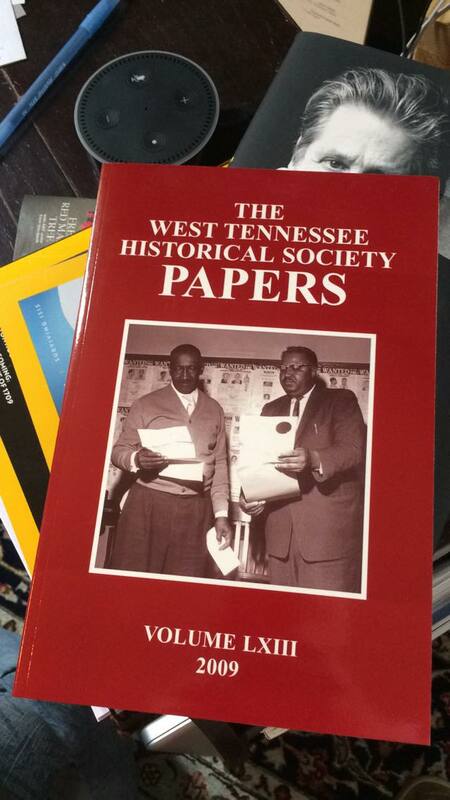 At the same time, unbeknownst to me, some people had gotten their hands on a copy of the journal and been inspired to mark his grave in Tunica County. 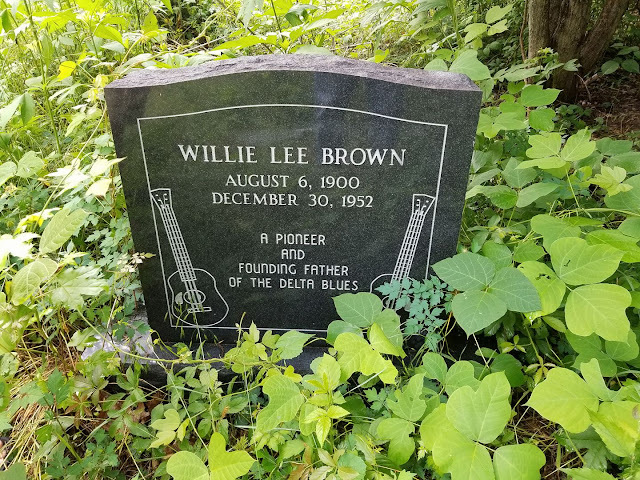 "Our good friends at The Delta Blues Blog wanted to give back to the blues, and coordinated a benefit in Florida, with all proceeds going to purchasing, engraving, and placing a headstone for the legendary and mysterious bluesman Willie Brown. $2100 was needed to purchase the headstone. A number of greatly talented blues musicians donated their time and energy, including Lee Pons, Sean Chambers, Ed Wright, Damon Fowler, and The Backwater Blues Band. Concert T-Shirts were made and blues t-shirts and merch were donated by Bluescentric.com, Legends Guitars in conjunction with Dean Guitars donated a beautiful guitar, the Legendary Blues Cruise donated tickets, author Allen Whitley donated a signed copy of his book, Where Southern Cross The Dog. Mary Lou Sullivan, who we interviewed last year, donated a signed copy of her Johnny Winter autobiography Raisin’ Cain. The turnout was wonderful, with roughly 150 in attendance. Between website donations and the benefit, the entirety of the funds were secured. After the money was raised, a great deal of work went into erecting the monument. Gayle Dean Wardlow, David Evans, and other blues scholars were enlisted to determine the most appropriate wording on the headstone. Ellis Darby, of Tunica served as the local liaison, verified the facts, and the guided overall effort, which included securing a local memorial company. Scott Peeples, who runs The Nowell-Memorial Funeral Home, is personally responsible for ordering and erecting the headstone. These two are owed a great debt for their efforts. All said and done, we finally got the headstone erected. It was a wonderful journey, and we are quite proud to have been a part of it. We are humbled and overjoyed to have been able to give back to the music that has given us so much. It truly was a pleasure working with all the people involved. American Blues Scene would like to extend our most sincere gratitude to Jason at The Delta Blues Blog for his many efforts and long hours of fundraising and coordination in placing a headstone for such an important figure in musical history. 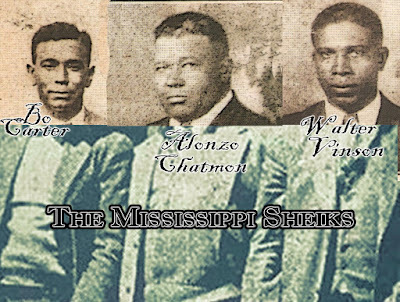 We were fortunate enough to be involved with the effort nearly from it’s inception to now, and the Delta Blues Blog has selflessly gone far above and beyond the call of blues duty in their efforts, and deserve a massive thank you."